The following articles are my early articles about the WTC 6 mystery. Please note that these articles were written in 2002. DID A “BUNKER BUSTER” MISSILE HIT WTC 6? 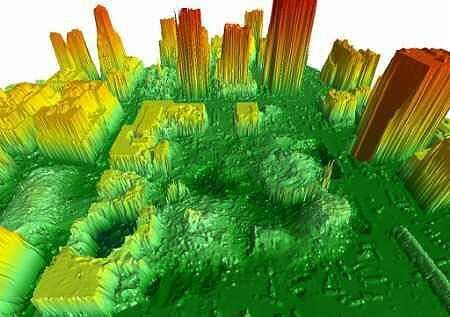 The crater in WTC 6 went into the sub-basement levels. 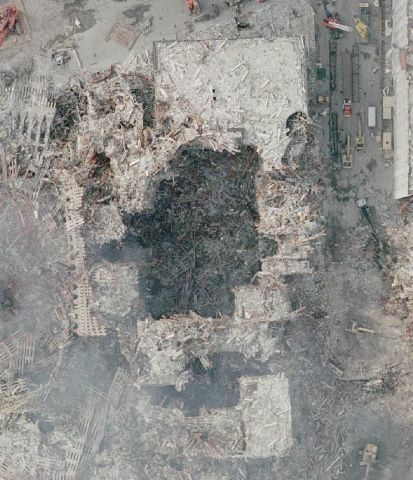 The damage to WTC 6 occurred before the first tower collapsed and does not appear to have been caused by falling debris. 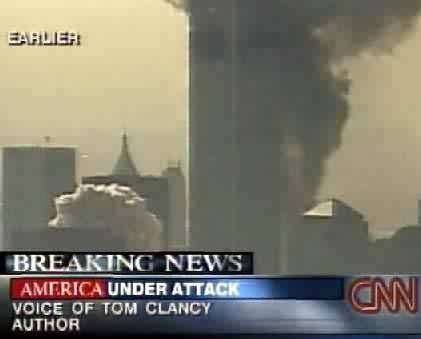 There has been some confusion about when the CNN video showing the mysterious explosion of 9-11 was filmed. In order to clarify the timing, I contacted CNN archives in Atlanta. The most senior archivist available, who could only reveal his first name, Andy, said that the footage showing the mysterious explosion had been shot as the second plane crashed into the South Tower, about 9:04 a.m. There has been some doubt about the large amount of smoke seen around the south tower in the background. 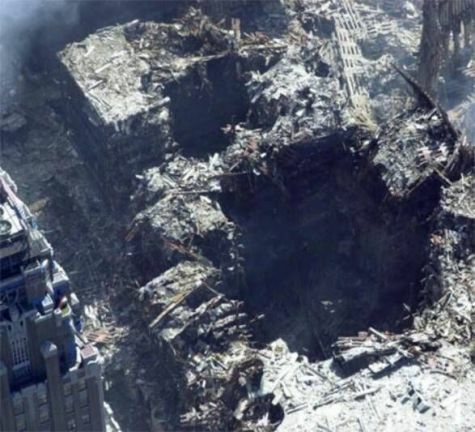 Most television viewers did not see the debris and smoke that fell around the South Tower after the plane crashed because tall buildings were in the way. 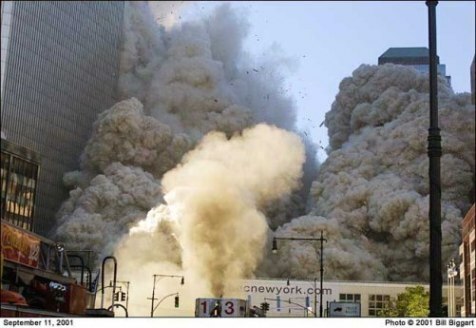 A series of photos by Carmen Taylor, however, show that the amount of smoke and debris, and the way that if fell, match the image from CNN, which is taken from the opposite side of the towers. Carmen Taylor of Lavaca, Ark., was visiting New York City and caught on film the moment United Airlines Flight 175 crashed into the south tower of the World Trade Center. 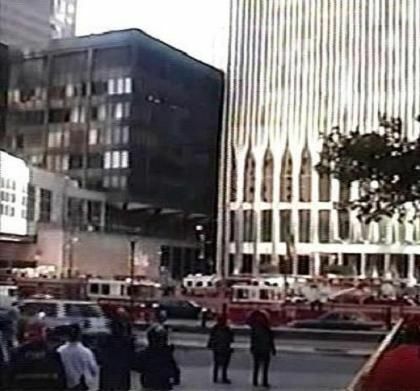 Taylor was vacationing in New York when she spotted an airplane flying toward the World Trade Center, which had been struck by another plane minutes earlier. 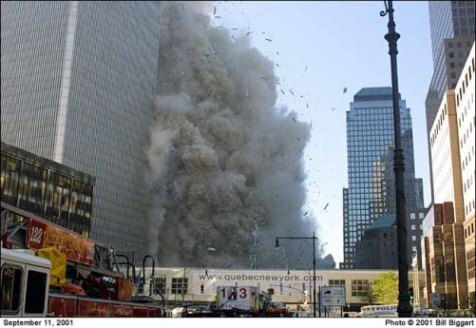 The second plane struck the Trade Center’s second tower, and Taylor captured the event in an astonishing series of digital photographs that aired on the local ABC affiliate, Channel 40/29. Taylor was just about to board the Staten Island Ferry to see the Statue of Liberty when the first explosion happened. She turned her camera on, and started shooting. As she did, she caught the explosions after the first plane struck. Then, she captured the second plane just before it hit the tower. “There had been helicopters circling,” Taylor said. “And then, this big plane comes up, and I thought ‘OK, there’s a plane going by.’ Within seconds, it went straight into the other tower. “We were just standing, looking at the World Trade Center, and all of a sudden, it lit up like massive fireworks,” she said.